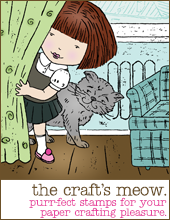 Hi and welcome to Day 2 of The Craft's Meow July release previews. Today the DT are previewing a gorgeous vintage stamp set designed by Nina B Designs - Vintage Baby. I love the details in this set, it's a must have set if you love vintage images! I stamped the image using Coffee Archival ink and inked the edges with Antique Linen Distress Ink. For the card base I used some Core Impressions Basic Grey Ornate Collection from Core'dinations along with some Jillian Dot, I just love pre-embossed cardstock. 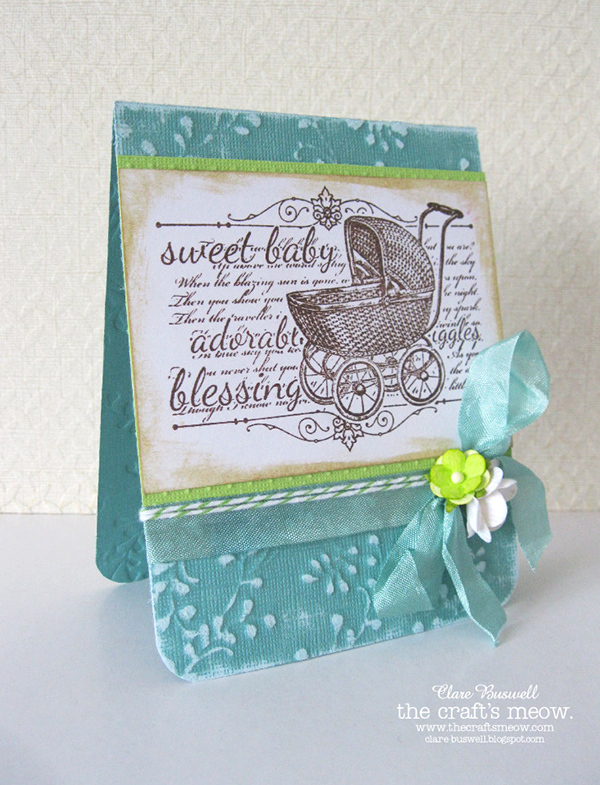 For my next card I went with a slightly less obvious color combo for a baby card. 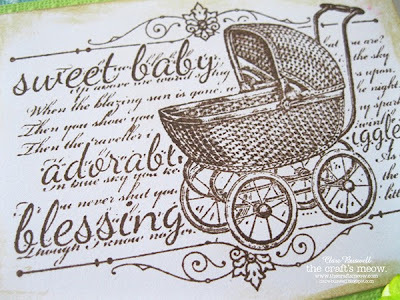 Here I used the tag stamp from the Vintage Baby stamp set, colored with some Distress Markers and inked with Distress Inks. I love that this tag is ready to go, tag shape, image and sentiment all in one! The second sentiment on the card is from the same set. Again I used some cardstock from Core Impressions Basic Grey Ornate Collection from Core'dinations, I love the pink core revealed once sanded on this brown cardstock, such a fab contrast. 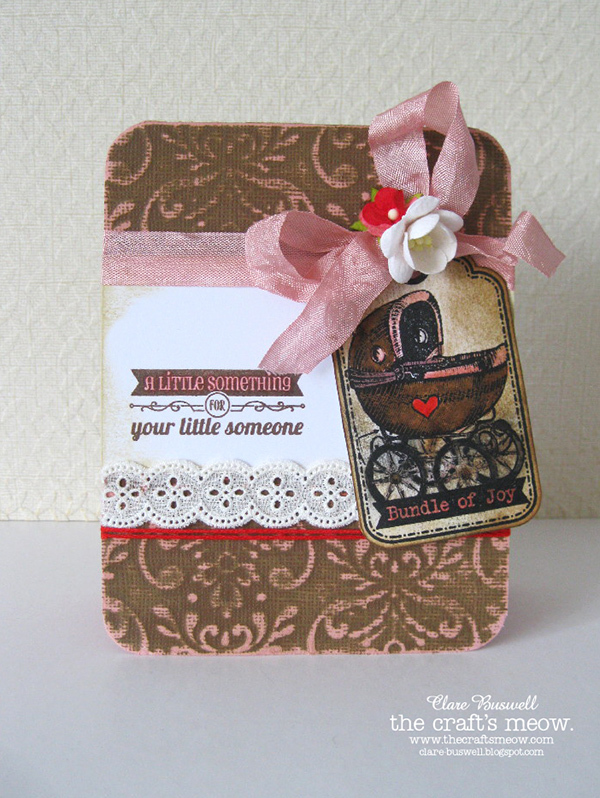 What a sweet vintage image, and I really love the card you made. Love love love the. Lloyd's on the first! The second is absolutely wowsers!! I love how it doesn't look like a typical baby card. Very refreshing to see something diff. 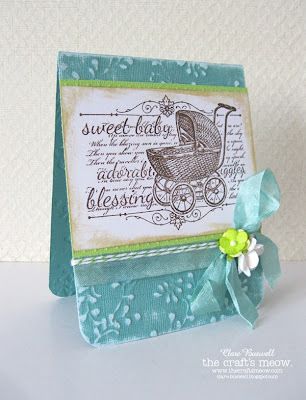 Gorgeous stamp and I just love how you have used it on both makes!!! Love these vintage baby cards. 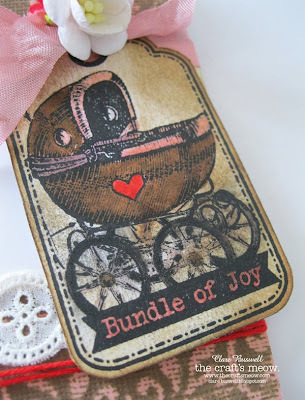 The baby carriage image is darling. Well done.